Coming up with names for a boy can be harder than many parents imagine. Sometimes, there is a family connection but not everyone wants to bother with that. Knowing the meanings behind the names can really help. For those parents considering something popular, knowing the meaning behind the name can be especially important to avoid just going with a trend. 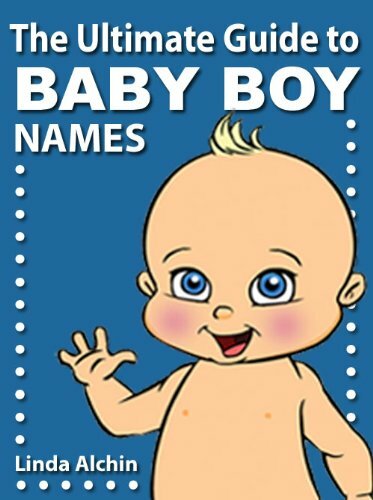 Here are the meanings of the top five baby boy names of 2013 so far. Choosing the perfect baby boy name will set him up for life. Jacob became a very popular name in 2008 after the release of the first Twilight movie and the books becoming so popular. However, it has been a popular name for some time in its own right. It is a biblical name and the story of Jacob (later known as Israel) is that he was born holding the heel of his twin brother. This has spurred the meaning of supplanter. In England, the name Jacob, was a Jewish name during the Middle Ages. During that time, Christians used the variation James. It wasn’t until Protestant reformer and German linguist, Jacob Grimm, became well-known and popular that the name was used by Christians. Jacob Grimm and his brother, Wilhelm, wrote the Grimm’s Fairy Tales together. Variations include Jakob and Jaycob. It can also be pronounced Yae-Cob, depending on the nationality. Learn more about the origins of your baby boy name choices, along with the meanings and reasons for popularity. The Ultimate Baby Boy Names Book is full of thousands of names, splitting between religions and countries. Mason was originally an English surname and has the meaning: stoneworker. It comes from macian, which is an Old French word with a Germanic origin, meaning “to make”. It also has links to the Freemasons, which is a brotherhood or fraternal organisation with deep but mysterious origins. It is really only popular in English speaking countries and can also be written as Mayson or Maison. It has risen in popularity since the 1970s and remained on top for the last few years. In Hebrew, the name Ethan means solid or enduring. It is a strong sounding name, which is why it has been so popular for many years; currently at number 3 on the list. While the name is in the Old Testament—the name of a wise man—it was not overly popular with Christian countries for many years. It was only after the Protestant reformation that the name became used in English-speaking countries. It became very popular after Ethan Allen, which is when it reached America by 1789. However, it was the end of the 20th century that people started to use it so often that it has reached the number three spot on the list for 2013 so far. Other spellings include Eitan, Aithan and Eytan. Noah is another biblical name on the list and derives from the Hebrew for rest or comfort. Many people, even non-Jews or Christians, know of the story of Noah and the Ark. However, it was the Protestant reformation that brought the name to England and made it more popular. It was always very common among Puritans. Noah is a simple but strong name, which also helps to make it so popular. It can be spelt in many other ways, such as Noe, Nooa, Noach and Noak, depending on the country. William is derived from a Germanic word “Wilhelm”. The German name is actually split in two that have separate meanings. “Wil” means will or desire, while “helm” means helmet or protection. So the name William means the will to protect. The name William has always been relatively popular in England. The Normans were a big fan of it and the English people followed the suit of naming their sons this after William the Conqueror became the first Norman English King. Three other rulers of England have been named the same—one of those a ruler of the whole of Great Britain—and a prince in line for the throne, Prince William, Duke of Cambridge, also carries the name. There are many famous Williams all over the world, including Scotsman William Wallace and Swiss hero, William Tell. Many people have also heard of the English-born playwright, William Shakespeare. There is a female version of the name: Willia. There are also various nicknames, including Bill, Billy and Will. Wilhelm is the obvious German variation but there are others, such as Uilliam (used by the Irish), Uilleam (used by the Scottish) and Willem (used by the Dutch). It has reduced in popularity in the United States over the last few years but remains the favourite in Australia, Denmark and Sweden. Choosing the perfect name isn't just important for you but it's important for him. It sets him up for the future. 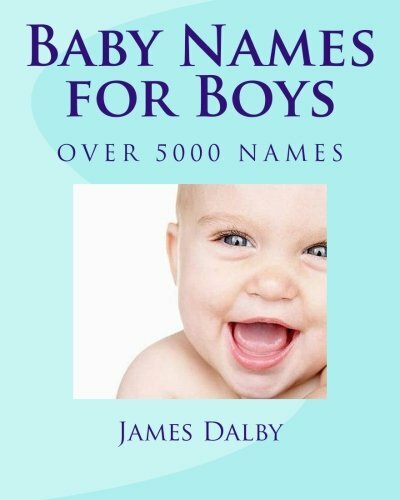 With Baby Names for Boys, you have over 5000 names to choose between so you can select the perfect one. While knowing the meaning behind the names doesn’t always help, it can teach you more about the origin to help you decide. There are many websites and books that help you understand the meaning behind names and they often have variations and nickname options to help you create a unique and personal name for your baby boy. If you are interested in baby girl names, you can find the meanings of the top 5 baby girl names of 2013 so far right here.